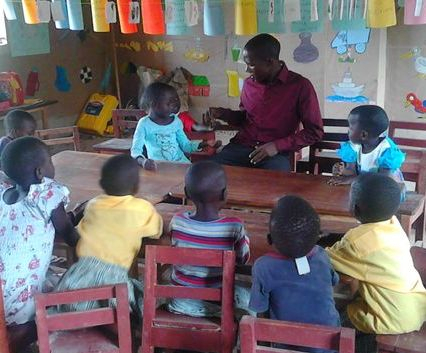 The Mission of the Mengo Children’s Foundation is to serve high-risk children of Uganda through Education, Talent Development, Spiritual Nourishment and Provisional Health Services. citizens who contribute to the development of the Ugandan community. We believe we can accomplish it. Our school caters to the education of children from 3 to 12 years old in the subjects of Math, Language Development, Social Studies and Health. We believe that the most important years of a child's education are the primary years where students gain a love of learning and build a foundation for later schooling. OUR GOAL FOR EDUCATION - Our dream is to offer our children a complete primary education – from Nursery School to Primary Seven – led by a teaching staff who are passionate about what they do and know how to inspire our children. We offer first aid and primary healthcare for our children at MCF and arrange doctor’s visits when necessary. We also teach the children basic hygiene and dental care. Our HIV Awareness program teaches the children the risks of HIV and how to stay safe and healthy. Many of the health problems at the Foundation are minor ones but without proper care, can easily become more serious. before they become large ones. OUR GOAL FOR HEALTHCARE - We dream of establishing a health clinic that serves not only the Foundation's children, but all of the local community. 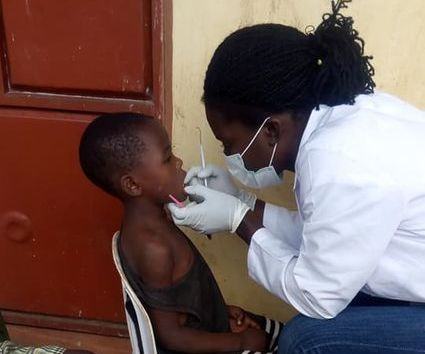 We dream of offering twice yearly dental check ups for our community. We want every Foundation family to own a mosquito net and we dream of hiring a professional on-staff nurse who can help with our everyday health needs. Many of our children do not have the opportunity to take vacations, visit parks or participate in other recreational outings. The research is there. Sports do wonderful things for kids – they promote team work, teach problem solving and encourage leadership. Foundation kids love our soccer academy and look forward to soccer time each and every week. 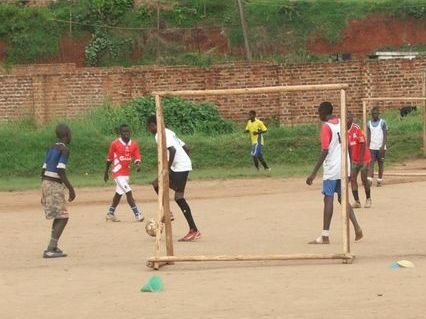 We open up our soccer program to the local community and our children, and others, compete in organized competitions. OUR GOAL FOR TALENT DEVELOPMENT - Every child deserves an outlet for fun in their lives, and our children are no different. We currently rent space at a playground for soccer practice. 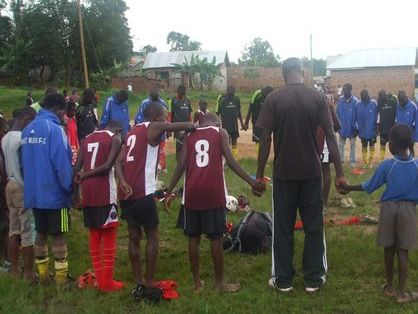 Our dream would be to own our own land in order develop and grow our soccer program. why wouldn't we feed their hearts too? We teach our children the difference between right and wrong. We want them to understand what it means to be compassionate and kind. We preach of the value of helping others. Creating a morally upright society is important to us at Mengo and we work with our children each and every day to mold them into young adults who are capable of changing the world. OUR GOAL FOR SPIRITUAL DEVELOPMENT - Change the world, one child at a time.